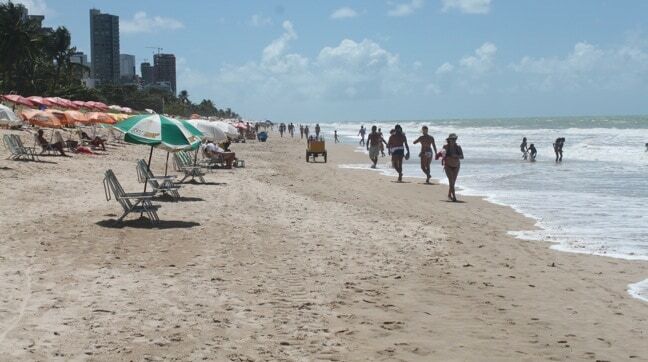 Before 1992 the beaches of Recife, Brazil were bustling with swimmers and surfers. But that’s not the case today. Now listed as one of the Top 10 Shark Infested Beaches in the World (according to The Discovery Channel as well as the International Shark Attack File), you’ll find many signs along the water’s edge warning about the dangers of swimming. With this reputation, perhaps it’s no wonder that the first English-speaking taxi driver I encounter in Recife wants to talk about the shark attacks. “Do you swim on the beach?” he asks. I tell him I don’t go far, and ask if it’s as bad as people say. 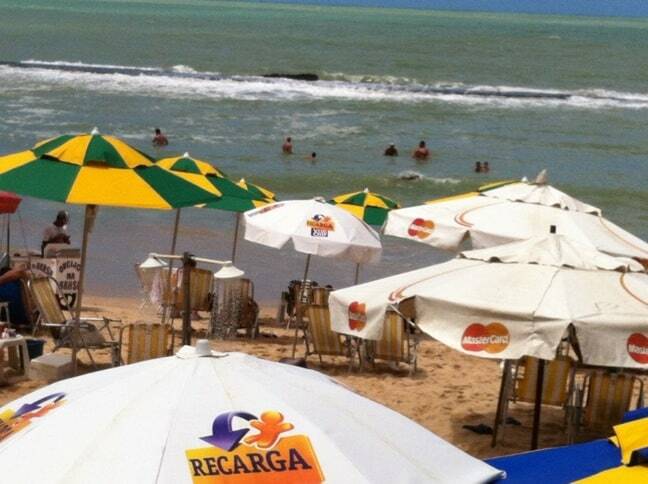 Recife is the 5th largest city in Brazil and the capital of the Northeastern state of Pemambuco. A major port on the Atlantic Ocean, its name is derived from the coral reefs that are dotted along the shores. While primarily known as an industrial zone in the region, tourism is growing here, and rapidly becoming a viable industry in its own rite. Other than shark attacks, the city may be best known for Carnival, which boasts a more authentic experience than you’ll find in Rio de Janiero. Millions of people flood the streets each February to partake in the sites and sounds of the Carnival spirit. Couple that with year-round tropical climate, dozens of historic churches, large outdoor markets and the nearby town of Olinda (a UNESCO World Heritage Site since 1982), and it’s no wonder the city of Recife is becoming a more popular tourist destination. Prior to 1992, there were virtually no reports of shark attacks along the 12.5-mile coastline of Recife. But between June 1992 and September 2006 there were 47 shark attacks resulting in 17 deaths. 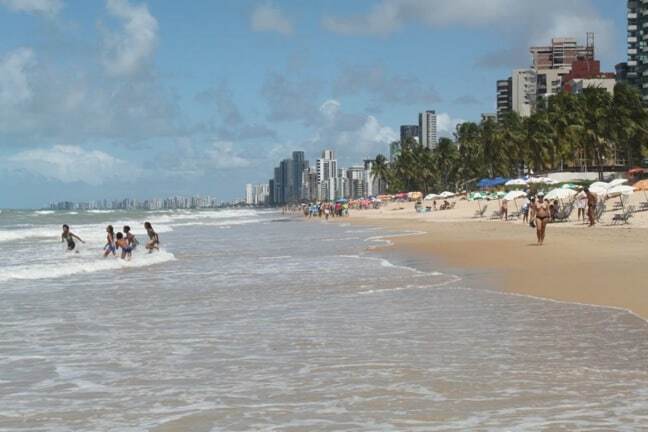 According to the Shark Attack File, the most recent attacks in Recife occurred in 2011. Two of the attacks resulted in wounds to the legs and thighs. A third possible incident involved 14-year-old Gabriel Alves dos Santos, who went missing while swimming just off the coast of Boa Viagem. His body washed up on shore several days later, having sustained multiple bite marks. But it’s still unknown whether his death was directly related to a shark attack. While some attacks were clearly due to swimmers and surfers venturing out further than recommended, a 2004 BBC article profiled Walmir da Silva, who was only waist-deep in water when he was pulled under by a shark in 2002. The victim ultimately lost his left arm and left leg from the knee down. 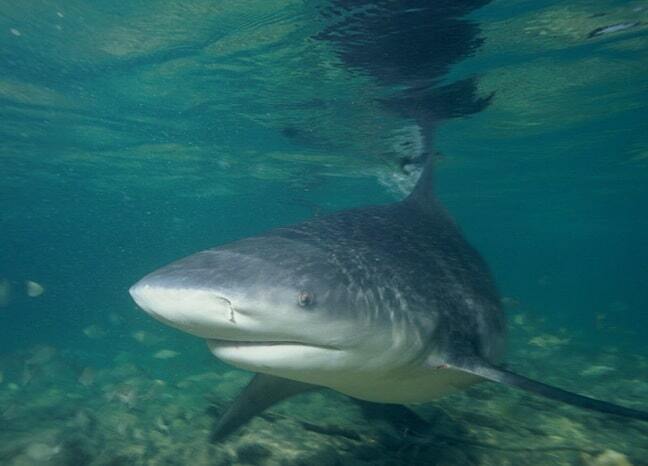 In da Silva’s case the predator was a bull shark, which is known for swimming in warm, shallow waters. According to National Geographic, Bull Sharks are considered the most dangerous sharks in the world due to their tendency to live near high-populated areas. They join the Great White and Tiger Shark as the three shark species most likely to attack humans. Still, the question remains: Why was there such a sudden spike in shark activity on such a concentrated stretch of coastline? According to an article on Save The Waves (an NGO working to protect and preserve the coastal environment, with a focus on the surf zone), Recife was once home to approximately 15,000 surfers. But once shark activity in the area increased, the government placed a complete ban on surfing. 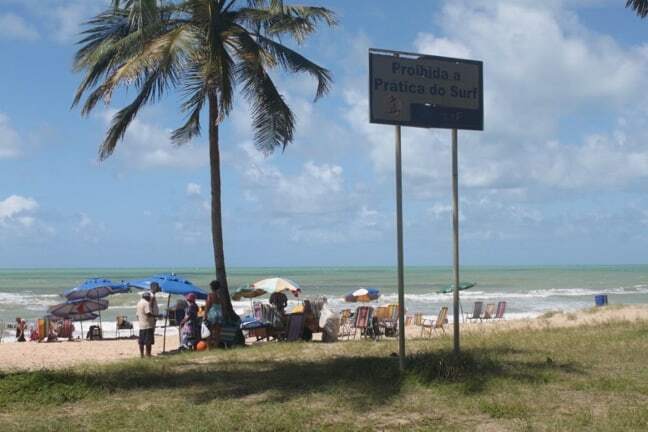 Anyone caught surfing off the coast of Recife today faces a hefty fine. Many locals believe that the government did this as a way to place the blame on surfers, saying that they were paddling too far off shore and inciting attacks. Local surfing enthusiasts believe that the decision to ban surfing was an unjust cover-up of the real reason for the increased shark activity: Irresponsible urban development practices, which disrupted local marine life habitats. “The government used the surfers as a scapegoat for their development. Their motivation was to stop the bad press that would in turn hurt their tourism revenues,” claimed a representative from the Save the Waves coalition. 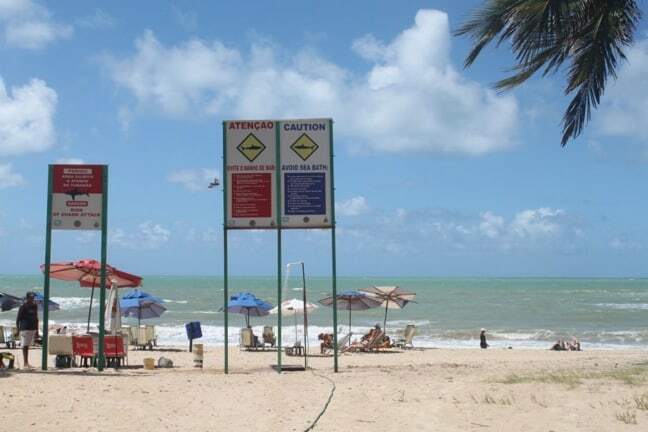 Many Recife locals believe that the real cause of the increased shark activity was the building of the nearby Suape Port, and the environmental degradation that followed. Originally, four rivers converged into the Bay of Suape. But during port construction the mouths of the Ipojuca and Merepe Rivers were filled in, changing the direction of river flow. The interruption of these rivers blocked access for bull sharks, diverting their activity closer to the shores of Recife’s beaches. An International Shark Attack Workshop was held in Recife in November, 1995 in order to find the cause for increased shark activity. Participants included 16 representatives from local universities, natural resource and beach safety agencies, government representatives, and five scientists. The group participated in site visits and referred to the results of a one-year research project conducted by the UFRPE (“Ecology of Sharks in the Coast of Pernambucu State”), which led to many explanations for the influx of shark activity. One factor was indeed the opening of the Suape Port, which caused “massive environmental damage,” including the manipulation of river flow, loss of mangroves and increasing maritime traffic. Additional causes were listed, such as the general desegregation of nearby coastal ecosystems as a result of coastal development. In an effort to minimize future shark attacks in Recife, several ideas were suggested. Protection netting was deemed too environmentally damaging and expensive. More feasible ideas included banning surfing and educating the public on how to minimize interactions with these potentially dangerous animals. It’s obvious that the signs are effective: On any given day, the beaches in Boa Viagem are filled with people playing volleyball or strolling along the waters edge. Yet, with the exception of children playing close to shore, rarely do you see throngs of people enjoying the ocean. The measures mentioned above have proven effective, and shark attacks in Recife have decreased in recent years. There were no attacks at all in 2012. One local vendor, known as “Lula,” sees no reason for people to stay out of the water. He’s been renting chairs and selling goods on Recife beaches for 25 years, and says he has never witnessed any type of shark activity. His advice to beach-goers? Don’t go past the reefs, and you should be fine. There’s no denying that things are different now, but Vieira doesn’t seem to think that should deter people from visiting the area. “We still have other beautiful beaches near Recife, and there are also reef-protected areas where you can swim without worrying.